This wasn't the big next-gen reveal Tomb Raider fans were hoping for, but it's definitely the next best thing. Square Enix on Saturday revealed that it's bringing its Tomb Raider reboot, which was a huge critical success, to the PlayStation 4 and Xbox One on Jan. 28, with all DLC and some revamped textures on display. 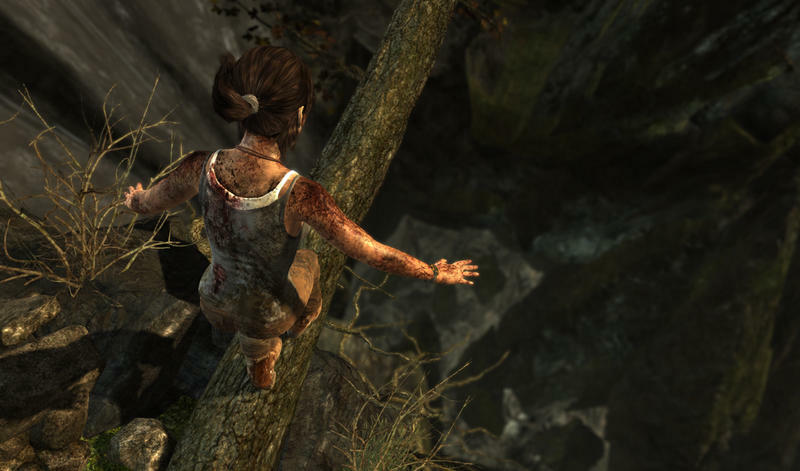 Officially titled Tomb Raider: Definitive Edition, the game will run natively in 1080p resolution, with textures much sharper than the previous generation. Square Enix executive producer said the game will feature "an obsessively detailed Lara and a fully realized lifelike world." Rumors of Lara Croft making it to next-gen systems first popped up last month, and Sqaure Enix later coyly hinted something was on the horizon. Amos also added that the more powerful console will let the developer "express the original vision in all its glory." Amos said the game was pulled apart and rebuilt to enhance the experience, and ensured the game will be as good as ever. "The end result is a cinematic living world. We can't wait for fans and newcomers alike to experience this rebuilt epic adventure." For anyone that played the Tomb Raider reboot when it hit earlier this year, revisiting Lara's adventure might be worth it. And for anyone that hasn't yet experienced Square Enix's new adventure, this might be the perfect opportunity. Unfortunately, the Definitive Edition is priced at $59.99, meaning those with that PS3 or Xbox 360 versions might feel a little hard done by at that price. In any case, it's nice to see such a terrific title coming to next-gen consoles. Hopefully we'll soon get word of a next-gen sequel, too. You can check out Joey's review of Tomb Raider here.